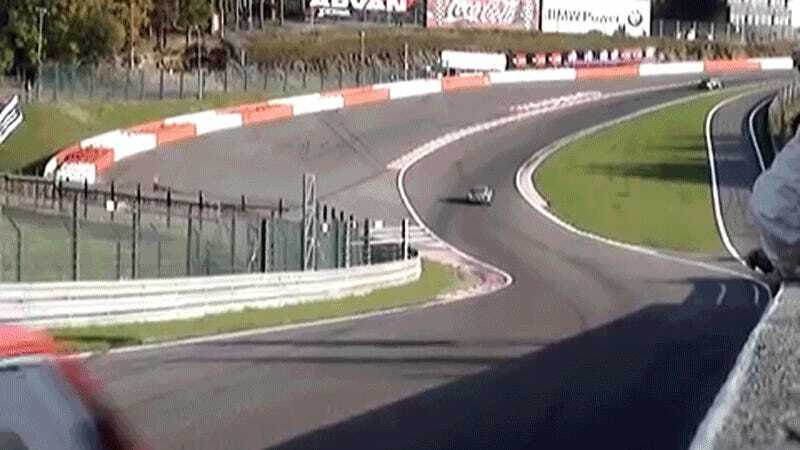 There will be a time when I get bored of watching Roman Caresani slide his 1965 Porsche 911 around Spa, and I assume that time will be roughly after the dying sun swallows Earth. I don’t think it will be before then. I have seen this onboard more times than I can remember, but I had never gone out to catch this external clip. This dude is loose. What’s funny is that my appreciation of this video has only gone up over the years. Ever since I first took a rear-engine car on a track (my tippy old Baja Bug) I never really grasped that cars like this are naturally inclined to understeer, not oversteer. All the weight is in the back, and there’s nothing up front. Turn in like on a front-engine car and nothing happens. To get something like a real old 911 to turn, you have to huck it into the corner, sideways, then drive out on the power. It’s commitment. It’s also addictive, and I get why Caresani sticks with it.